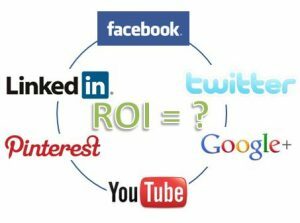 Social media ROI can be a highly debated topic when discussing digital marketing or even traditional marketing. Why? Measuring the effectiveness of social media efforts isn’t always as clear-cut as running a Google AdWords campaign. It can be hard to tell at times when a tweet or post increased sales if you are not tracking results properly. This can be compounded when new features, tools or platforms are released, with each having their own set of analytics. If social media ROI makes you feel confused, you are not alone. However, KPIs are the lifelines of social media analytics. It can be put quite simply- social media ROI is what you get back from all those hours you log, the effort you put in and the resources you are willing to commit. And it’s best calculated with actual dollar amounts. We all wish there were dollar signs dangling from retweets or likes, however that isn’t an option with organic, only paid. Taking social media goals and attaching a monetary value to each. Shares have value, maybe even more than likes. This is something I can’t preach enough about. Shares are the best for engagement. It shows your fans and followers endorse your content to the point of putting their reputation on the line to their closest friends and family (along with their other followers). Your ad or post is interesting enough where people are willing to share it. Pretty cool, right? Goal: What is your overall goal? Is it clicks back to the website? Is it follower growth? Is it engagement with your posts? 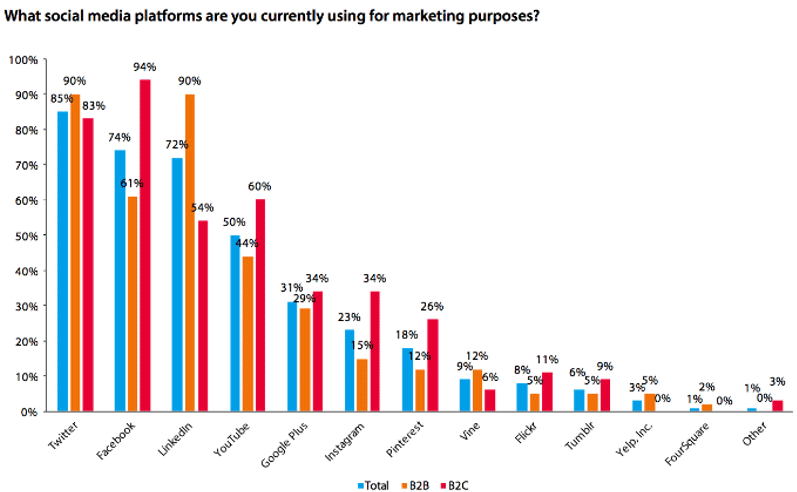 Each one of these needs to be tracked different, and a B2C business will have different goals than a B2B business. Choose a goal to track and start there. Measurement: Track website interactions and referrals from social using Google Analytics. Set up goals and event tracking. Set up conversion tracking for paid efforts, such as boosted posts. If you don’t do this… well you are just throwing money and time away then. Value: How much can you earn from each follower? How much can you earn from a website visit? How much is the average purchase through each social media channel? Pinterest vs. Twitter are very different with who your audience is, and their purchase habits. Not sure how to find this information? Anvil can help! Labor and Time Spent – Multiply labor-cost per hour by the number of hours committed over a given period (depending on whether you’re measuring social media ROI for the week, the month, per campaign, etc.). Technology Costs – Add up the costs of all the tools and services you use for social media. Find the weekly or monthly costs using a bit of math (divide annual fees by 52 for the weekly cost, by 12 for the monthly cost). Advertising Spend – The amount you spend on paid social media advertising—boosting Facebook posts, promoting tweets, etc. Add up these costs to find your total investment. Social media is ever changing. Good or bad, that’s your call, but it’s here to stay and you might as well get on the bandwagon. Not sure where to start with Snapchat or Pinterest? We got you. Snapchat’s videos also come with a limited lifespan, which some brands can use to leverage urgency and immediate action. While the only analytics Snapchat offers are the number of views, be smarter than the platform. Find workarounds. Snap a Snapchat-specific coupon code, and when users come to “cash in” you know your efforts worked. Example: say you snapped that code and 150 users saw it, then you had 15 customers use the code. You had a 10% success rate. Use that to determine if it was profitable. And while the vertical video might seem like a risk, Snapchat has proven it’s a critical asset, and a point of differentiation from other digital ad platforms; video completion rate on Snapchat is nine times greater than horizontal video views. Tracking ROI on Pinterest and other channels with fuller analytic tracking can be done by monitoring behaviors, such as content that has been pinned from the website or number of clicks back to the URL in the pin. Luckily platforms like Instagram are making business’ lives much easier by adding new features and tracking options, such as Instagram for Business. This gives insights into what is working and what isn’t. Use this to help build better on-site content if needed. Keep in mind, it takes time to build an audience. Yes, there’s always money to be thrown at it… but you need both to not only gain an authentic following, but also to show that you are real and that you value who your audience is by sharing content that is not only engaging, but worthwhile. Still lost or need help? Call Anvil.